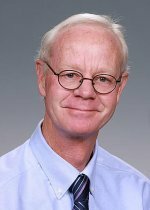 Congratulations to Pacific Northwest National Laboratory radiation biologist Dr. William Morgan for being named Laboratory Fellow, the highest rank that PNNL science and engineering staff can attain. Morgan, an internationally renowned leader in radiation biology, is Director of Radiation Biology and Biophysics and leads the Low Dose Radiation Research Program at PNNL. His research concentrates on the long-term biological effects of radiation exposure. He is one of the Lab's most highly cited scientists, with authorship of 130 high-impact peer-reviewed journals, 53 book chapters, and numerous other publications. Morgan participates in numerous national and international standards groups and committees and is a frequent organizer of and presenter at national and international meetings and conferences. In February, he was elected a Fellow of the American Association for the Advancement of Science. Morgan was recently elected to the Main Commission of the International Commission on Radiological Protection (ICRP) and was also named Chair of the ICRP's committee on Radiation Effects. He also serves on the Board of Directors National Council on Radiation Protection (NCRP). Morgan will be recognized and present an overview of his research at a ceremony September 1 at PNNL.